The Law Offices of John C. Hanrahan, LLC, provides experienced representation for bankruptcy and creditor's rights issues. Based in Frederick, Maryland, the law firm can handle cases throughout Washington County. John Hanrahan handles consumer bankruptcy, through Chapter 7 and Chapter 13, and business bankruptcy, through Chapter 11. They are equipped to handle all matters related to personal or consumer bankruptcy filings, including preparing and submitting all schedules, pleadings and motion required throughout the process, and representing clients in meetings or hearings with creditors, the court or the bankruptcy trustee. The Firm's Creditor's Rights practice includes representation for national and local businesses for a broad range of legal concerns, including documenting loan transactions, as well as creating loan documents and security interests to protect lender's rights. They have litigated hundreds of cases in state, federal and bankruptcy court, helping creditors avoid potential pitfalls and obtain repayment. Attorney John Hanrahan has more than 27 years of legal experience, and is one of only a handful of lawyers in western Maryland who handle complex Chapter 11 corporate reorganization. 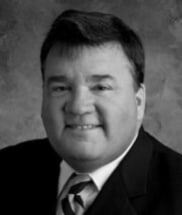 He also has experience with stripping liens in Chapter 13 cases, as well as representing creditors in bankruptcy, providing him with a unique perspective on consumer bankruptcy. He has been recognized by Frederick Magazine as one of the area's best bankruptcy lawyers. He is currently the Vice-Chair of the Delaplaine Visual Arts Education Center's Board of Trustees, and is a frequent lecturer to the Maryland State Funeral Directors Association on topics ranging from contracts, debt collection, identity theft, fraud and other relevant matters. Contact the Law Offices of John C. Hanrahan, LLC for a free initial consultation for consumer bankruptcy, business bankruptcy or creditor's rights issues. They are located off of North Market Street in historic downtown Frederick, just two blocks from the courthouse. Evening and weekend appointments are available upon request. If you are struggling to meet your obligations, whether as a business owner or in your personal finances, a bankruptcy filing can help you stop creditor harassment and get a fresh start. When you run a business, cash flow is a critical issue. When customers fail to pay for goods or services, it can affect your ability to meet your obligations and grow your business. If you own or operate a business, you know that legal concerns can arise at any time, whether you are in the start-up phase or are working to maintain or expand a growing concern.